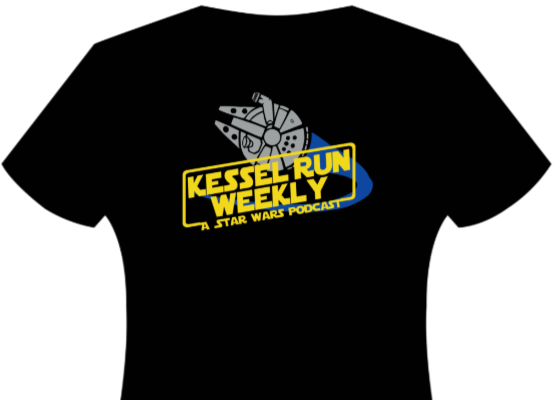 Kessel Run Weekly T-Shirts are Here! Looking to foil the Empire by hanging out on the back of an Imperial Star Destroyer? Wanna make the Kessel Run in less than 12 parsecs? Well we can’t help you with any of that but we can make sure you look cooler than Lando missing his green sylop in a bet for the Millennium Falcon! Check out our new official podcast merchandise! Get yours today!